Tis the season to decorate your home in overpriced holiday decor that you'll get to put up for maybe 30 days. 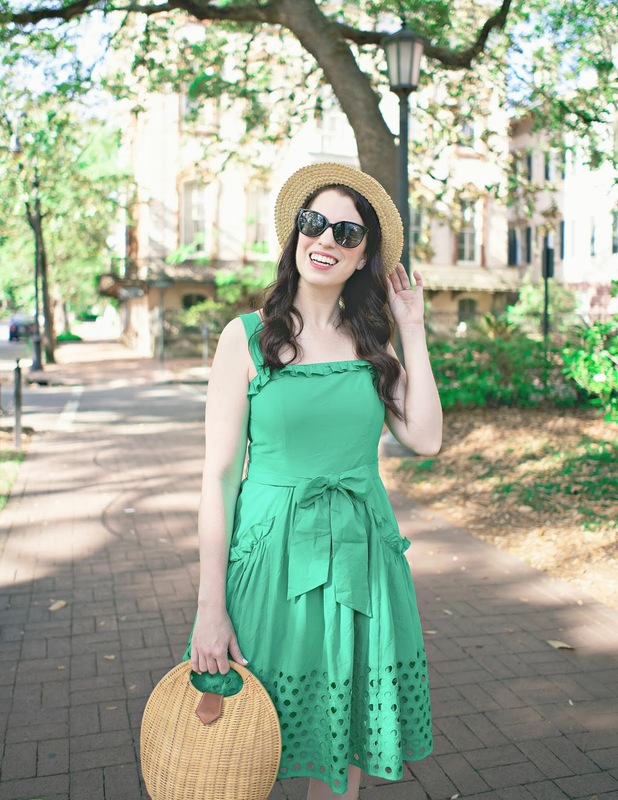 If you are like me and you want all the sparkly things, but also have none of the monies, here are a few projects you may want to consider taking on. You know, in all that free time you have. I've updated version of the ever popular collection of Anthropologie Inspired DIY Projects I did a few years ago with all new projects for Christmas that I hope you'll like! I love the glitter confetti filled ornaments above - they're colorful and sparkly, and everything I love. 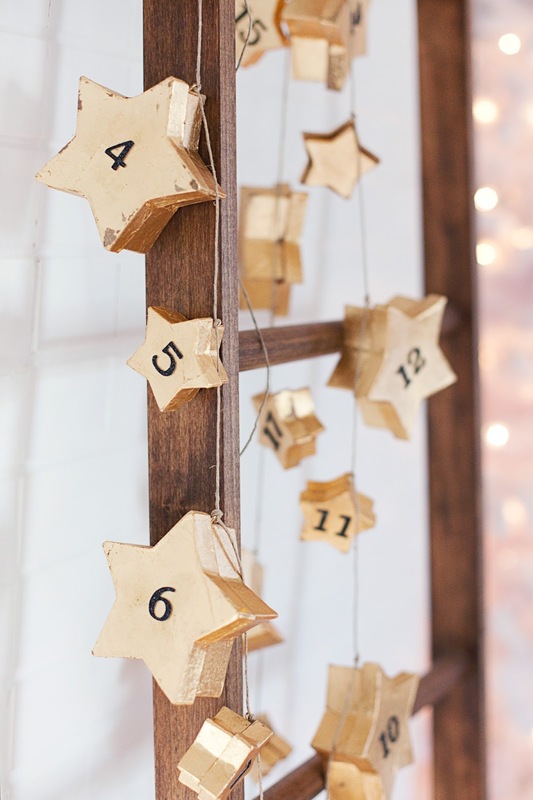 I love this golden star advent calendar, or in this case, advent garland idea! 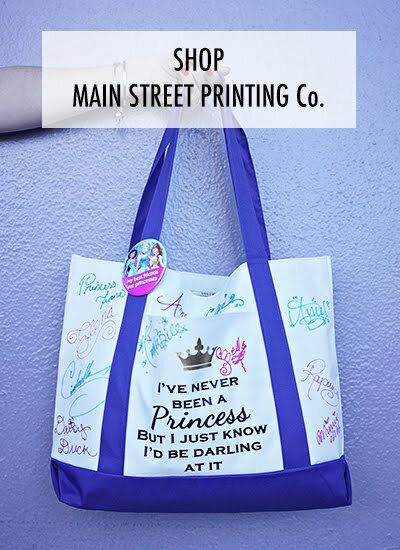 Easy, inexpensive, interactive, and super cute. These adorable paper trees are super cute and very easy to make, with only a few materials and a simple, free template. I love this glam garland wreath. It is SO simple to make, I'm thinking of hanging one above our fireplace this year. You can find direction on how to make your own sisal bottle brush trees here! It looks mildly time consuming, and potentially messy, but also really cool. This Disco Ball Christmas tree is basically amazing. I can only imagine how incredible the reflections would be if this were in a room lit by a cozy fire and candle light! 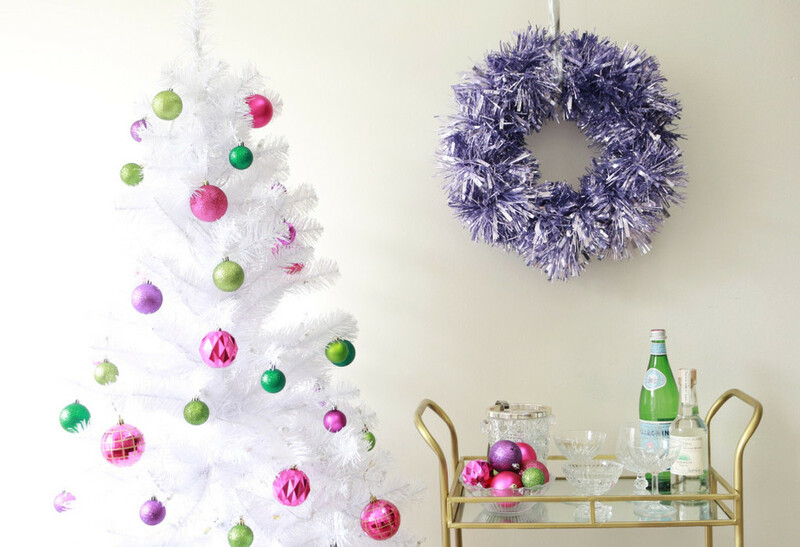 If you love bottle brush trees (like me, obviously), but don't have the time to actually make your own, here are directions on how to transform cheap-o dollar store sisal trees into super cute whimsical decor. Make your own tiny star garland. You can use it for wrapping presents, draping your tree, fireplace, or anything else you can think of. 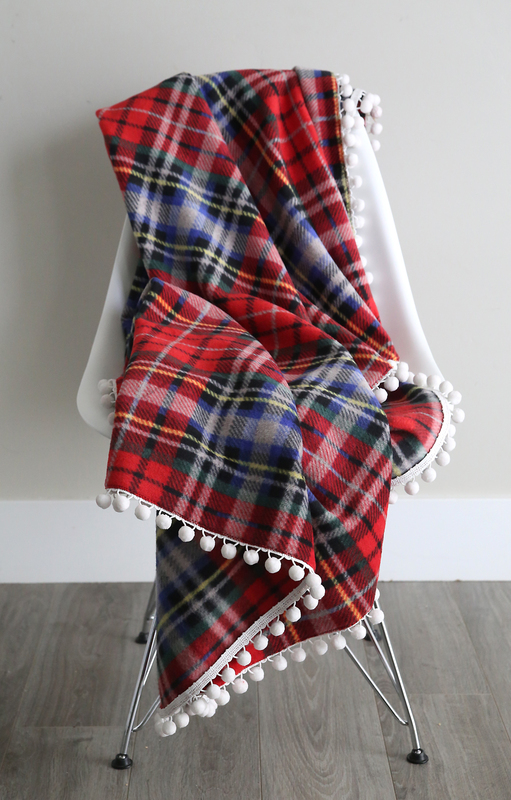 I adore the pom poms on this cozy flannel throw! This project is slightly advanced, requiring a sewing machine, but I see no reason why you couldn't hand sew this blanket. 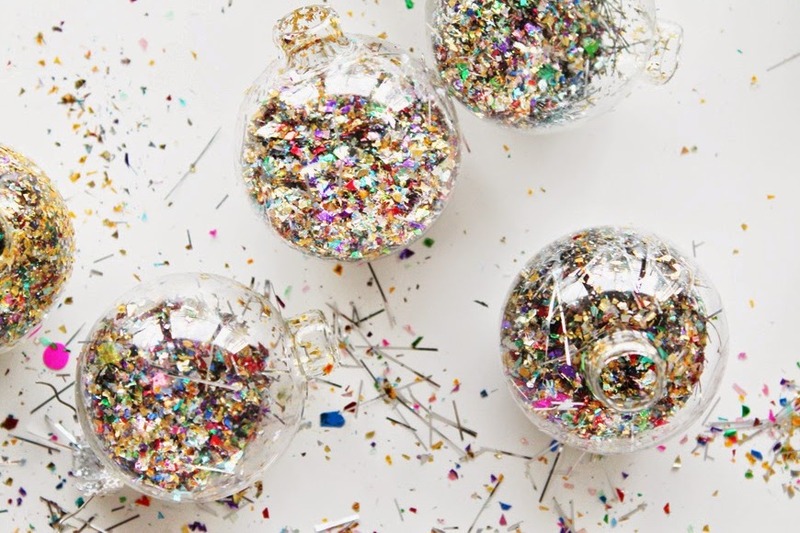 I love these handmade sequin ball ornaments! They remind me of the ornaments my grandmother use to make, and since it looks like a quick and easy project, I think I'm going to make a few this Christmas. 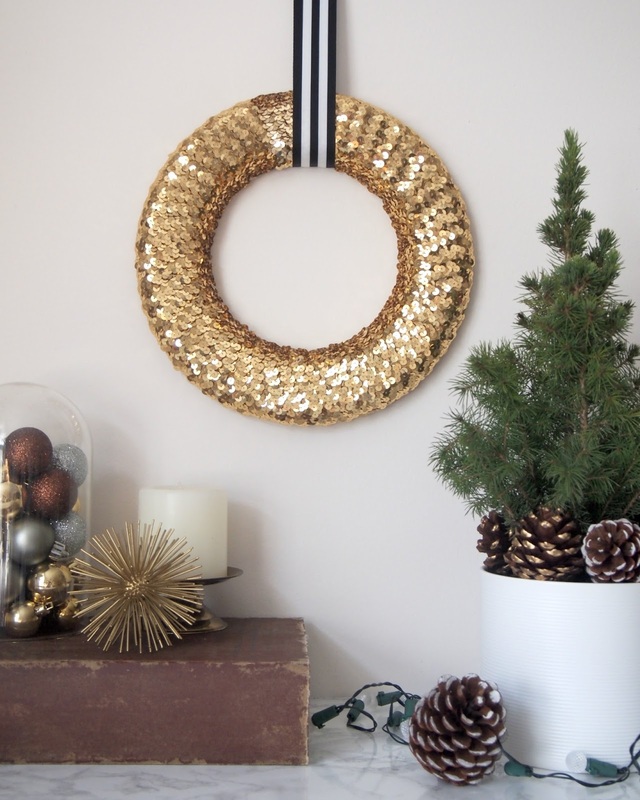 This sequin wreath is equal parts glamorous and totally over the top. The best part is that it's also pretty simple and mess free to make. Yes, I realize I have a thing for sequins. I'd even wear them more often if they photographed well. I'm basically my grandmother. Use this cute Tassel Garland tutorial to make a festive garland for your tree, fireplace, or doorway with shimmery blush pink embroidery thread. If you try any of these projects, please let me know!